Internet gaming is a worldwide phenomenon that has grown in leaps and bounds over the last several decades. Starting in the United States, video gaming has spread all over the world including to Asia where people of diverse ages and social economic profiles are avid internet gamers. Like everywhere else in the world, excessive gaming in Asia has not been without consequences. Thousands of young people are addicted to gaming with adverse effects on their social and physical health. Because of these adverse effects, governments all across Asia have taken steps to ensure that internet gaming is regulated and controlled. Even though the activity generates billions of dollars for these countries, the respective governments have deemed the danger from internet gaming addiction as dire enough to warrant intervention. For example, the governments of South Korea, Singapore and Hong Kong all operate rating systems on video games designed to encourage that the games should only be played by children of the appropriate age range. When any of these rules are violated, the authorities have not hesitated to take drastic steps to deal with violations. For example, the government of Singapore banned some popular video games due to non-compliance with the rating system. This perhaps indicates the seriousness in which authorities all across Asia treat the growing menace of gaming disorders. Video games started modestly in the seventies and eighties with the rise of arcade games. This soon graduated to handheld game devices that became very popular in the late eighties and early nineties. Video gaming exploded with the rise of mobile telephones and the internet. Suddenly, it was possible for players across continents to play the same game thus adding to the intrigue and excitement of online video gaming. Improvements in computer graphics meant that the user experience became more and more realistic and hence created greater appeal among players. Today, gamers can access internet games through a host of devices. They can play internet games on their mobile phones, on computers at home and on gaming devices in gaming shops. This proliferation of gaming platforms means that regulation of internet gaming becomes difficult as children have a variety of options. The Asia-Pacific region holds one of the biggest gaming markets in the world. Statistics indicate that South Korea has one of the biggest gaming markets in the world with a turnover of 10 billion US dollars in 2016. Hong Kong and Singapore are not far behind with their own gaming industries running into billions of dollars. In South Korea, they have even taken internet gaming to a professional level. The country has pro-gamers who compete against each other in televised games and who earn millions of dollars in fees for their shows. These shows are among the most watched television programs in that country and attract over ten million viewers every year. The fact that internet gaming has got to pro-levels means that there are hundreds of children who grow up aspiring to be professional internet gamers. This then leads to thousands of kids spending hours and hours in front of gaming consoles and in the process, becoming addicted to gaming. Children and teenagers with video gaming addiction often register bad grades in school. This is as a result of a variety of factors. Children addicted to gaming rarely have time to study or get their home-work done because of the obsession with gaming. Long nights in front of the video consoles also mean that the children can’t concentrate during school hours. For a keen parent, failing grades are usually the first indicator that something is wrong. Children who are addicted to gaming often display an inability to concentrate when not playing their video games. They may appear irritable and very often become uncomfortable when in social environments. This is because the gaming environment is often used by addicts as an escape mechanism to established social interactions. An addicted child will have an obsession with gaming sessions. It will be all your child will talk about. Often, the affected youngster will cease to have other interests other than gaming. This includes hobbies and social activities that earlier were of great interest to the child. Young people who are addicted to gaming will often conceal elements of their habit from parents and guardians. This might be the hours that they spend playing games or the money that they spend on the habit. Unexplained gaps in your child’s day can possibly be a good indicator that the child has a problem with online gaming, especially if the child is a ‘latch-key kid’. Quite often, people struggling with an addition have difficulties admitting that they have a problem in the first place Even though the child may insist that they have the gaming issue under control, they will often not be able to stop on their own or will display signs that show the online gaming habit is out of their control. Because of these adverse effects, there has been a move by various governments in Asia to recognise internet gaming addiction as a problem that deserves swift and prompt intervention. We highlight a few countries in Asia and what they are doing to stem the tide of internet gaming addiction. In Singapore, there has been concern about the growing numbers of young people addicted to internet gaming. This has become such a big problem in Singapore that the Singapore National Addictions Management Service started offering outpatient support for people addicted to internet gaming. It has been estimated that as many as one in ten children in Singapore are addicted to internet and video gaming. As a result, the government of Singapore has moved to stem this problem and in 2008, introduced a classification system designed to help parents know what games are appropriate for their children. The ratings were design by the Singapore Board of Film Censors and took two years to develop. The guidelines demand that the video game developers affix the rating of their video game on the box and also ensure that the any publicity that is done to promote video games adhere to the rules that are set as per the rating of the particular video game. Parents and school authorities in Singapore have also increasingly become aware of the dangers of internet gaming and are working with the government to regulate the industry and protect the children. The problem of internet gaming is just as big in Hong Kong as it is everywhere else in Asia. A study conducted in 2017 found that 10% of children aged nine years to eleven years were spending at least 20 hours a week gaming. Hong Kong in particular has seen the rise of sports gaming platforms where multiple players in different locations can compete in the same game. With the recent classification of video gaming addiction by the World Health Organization (WHO) as a real health disorder, parents, teachers and other authorities in Hong Kong are waking up to the reality of online gaming and the adverse effects that it has on young people. There is a real danger of young people in Hong Kong developing mental problems as a result of excessive gaming. In a rather sad but telling narrative, we hear the the story of Thomas Chan, a young man in Hong Kong who was forced to drop out of schools due to his obsessive need to play internet games. When his mother disconnected the home Wi-Fi and confiscated gaming gadgets, Chan simply started playing internet games at a nearby gaming centre. Well, Chan says that the reason why he found it easier to interact with other online gamers is the fact that he did not have to go through the awkwardness that comes with physical contact with people. Fortunately, Chan was eventually able to beat the addiction and resume school. However, he wasted one full year which meant that he enrolled in college after his peers had already started. Others, however, are not so lucky and addiction to internet gaming continues to hobble their lives well into adulthood. To make it worse, their poor social skills arising from the fact that they did not learn to interact with other people can mean that they will struggle in most professional jobs that they undertake in adulthood. South Korea has one of the biggest gaming industries in Asia and it is hardly a surprise that the country also has astronomical rates of gaming addictions. Studies estimate that more than 600,000 children aged between 10 years and 18 years are addicted to video gaming. The same study estimated that the average South Korean child spends around 20 hours a week on video games. The popularity of internet gaming in South Korea has led to the rise of PC Bangs which basically means PC rooms. In these PC Bangs, several computers are connected on a Local Area Network (LAN) as well as to the internet. Internet gamers are able to come to these rooms and for a small fee, can play against other people in the room or beyond. Because of the way they are set up, enforcing government regulations in these PC bangs is not easy and they provide an easy way for youngsters to circumvent any measures that their parents may put in place to prevent them from excessive online gaming. For example, if a parent or guardian has put parental controls on the gadgets at home, a teenager can easily access the same games simply by visiting these PC bangs and paying the cheap fee. Because of this, several steps have been taken by the government of South Korea to mitigate against this problem. In 2011, the government of South Korea passed the Cinderella Laws which prohibit children below the age of 16 from participating in online games between 10 pm and 6am. In addition, any minors going online to play video games are required to log in with their national identity numbers so that what they are doing online can be tracked. There are also programs by the government designed to help young people overcome internet gaming addiction by giving them alternative things to do such as outdoor activities. Cognitive Behavioural Therapy Treatment (CBTT) – This looks at replacing some of the destructive coping habits that an individual uses (such as compulsive gaming) with less harmful ones. At the root of CBTT lies the identification of the underlying problem causing the compulsive behaviour. Normally by identifying the underlying problem, therapists can help the individuals deal with it and thus negate the need for the compulsive behaviour. As mentioned earlier, another treatment approach that helps people addicted to internet gaming is to place them in locations where there is no access to digital devices. This approach is usually used in tandem with other approaches and the digital ‘detox’ helps the affected individual gain new habits and learn to live without the heavy influence of digital devices. 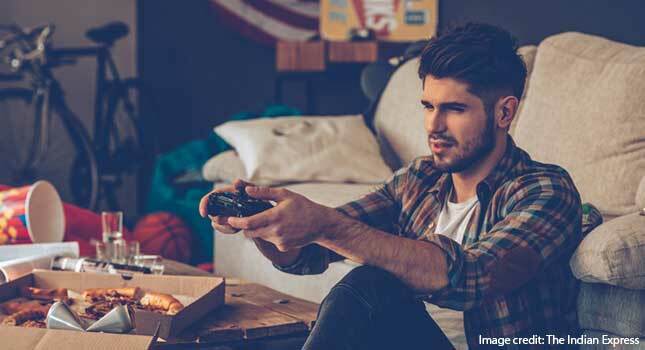 Therapists also place recovering internet gaming addicts together with other recovering addicts so as to give the affected individual a support network to help them overcome their addiction. As Asian countries move to recognise internet gaming disorder as a medical condition, there is help for internet gaming addicts in Asian countries. Using the approaches described above, it is possible to free your loved one from the shackles of internet gaming addiction so that they can continue with a normal life and develop essential social skills for the future. Researchers Find Strong Link between Video Game Addiction and ADHD Gaming Addiction Is Real — And Treatable When Internet Use Becomes an Addiction Is My Son’s Constant Gaming a Parenting Fail?